Have you ever considered how lovely or ascetically pleasing your cleaning tools are? Or are you just used to them being gross, unmentionables that you stuff in a bucket under the sink or closet? Once you switch to Norwex, you won’t have crusty sponges clogged with hair or feather dusters that never actually release their dust. Chemicals are gross for so many reasons, and once you make the switch, you don’t have to put up with the tools that go with them! 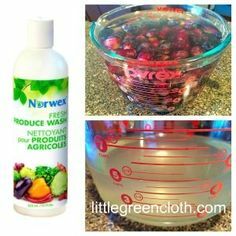 Norwex cleaning products have always been made from fun, vibrant, energetic colors, but last fall Norwex released the Nordic Naturals Collection, a truly lovely line of Norwex favorites. Cleaning should make your space feel calm, natural, and serene so why not use tools that remind you of this motivation? They are made from the same signature microfiber that will remove 99% of bacteria when used correctly. The EnviroCloths and Mop Pads are even made from 70% recycled material!